Tuesday 12th February 2013 , 7:00 pm. Venue: Apex European Hotel, 90 Haymarket Terrace, Edinburgh, EH12 5LQ. Refreshments and networking from 6:30 pm. This presentation will describe how an oil producing company routinely utilizes supervisory control, and advanced process control to control processes within refineries and gas plants. The first part of the presentation will describe traditional concepts of plant process control such as; regulatory control utilizing PID controllers and advanced process control characterized by processes having multi-variable interactions, dead times, and time lags. The second part of the presentation will show how offline steady state process models could be utilized in a real time environment to analyze, validate, and assess plant performance using models that run in conjunction with real-time plant data. An existing off-line model library consisting of steady-state and dynamic process and hydraulic models provided source data for the study. The off-line models support design and operational analysis of plant processes. They utilize the concept of Life-Cycle Modeling. Models are developed and enhanced through each stage of the design process incorporating conceptual design, detailed design, plant startup, operator training, and plant trouble-shooting. Ownership of these models enabled a benefits study to be conducted to determine if plant performance could be improved if the refinery and gas plant models were utilized in a real time environment. A model based real time optimization (RTO) study was conducted encompassing refineries and gas plants. The results of this study revealed that RTO can capture additional profit by manipulating a highly complex system incorporating many decision variables. The study revealed that profit improvements, via RTO, are significant when manipulating highly complex system, such as exist within the refineries and gas plants. The “Optimisers” can drive the plant towards its maximum efficiency. 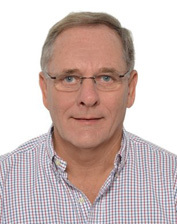 Dr. Jack Dempsey has over thirty years of experience within the oil industry, principally as an Engineering Consultant in the Saudi Arabian Oil Company. Jack graduated with a BSc (1968) and PhD (1971) in Electrical & Electronic Engineering at Heriot Watt University, Edinburgh. He is a Chartered Engineer and a member of the Institution of Engineering and Technology and the American Society of Mechanical Engineers. He currently holds positions of Senior Vice President for the Rotary Club of Kirkcaldy and is Chairman of the Institution of Engineering & Technology, South East Scotland Local Network. As a Stage-2 Assessor and a Stage-3 Interviewer, he assists IET to evaluate applications from IET members seeking professional registration. Jack was born in Kirkcaldy. He has a daughter and son who also live in Kirkcaldy with their and four children.